The now sealed-off entrance to the lower chamber. 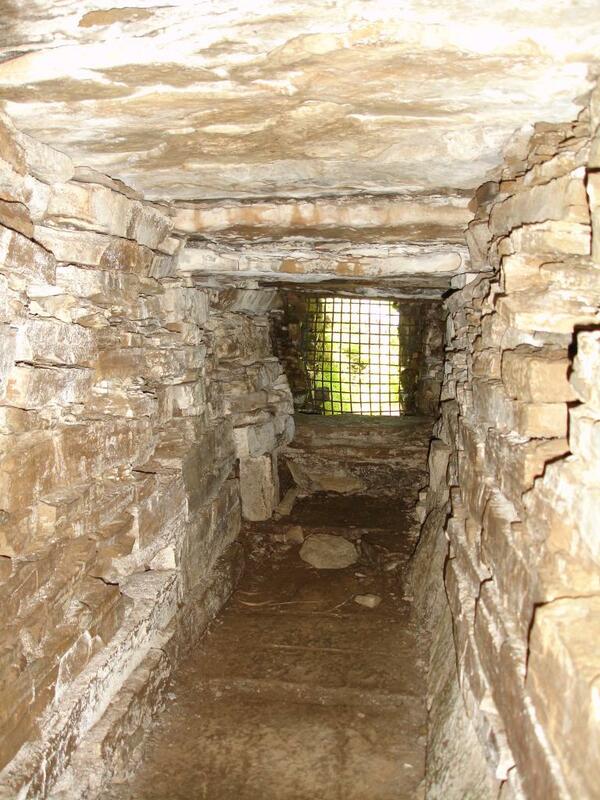 Three heaps of cremated bone were found on the right of the passage. 1024x768.